1933 double eagle. (Coin photos courtesy of the Smithsonian Institution National Numismatic Collection). Acting Deputy Director David Motl announced today that the United States Mint is displaying two of the ten 1933 double eagle coins recovered by the government in 2004 that were the subject of 11 years of litigation, which was recently resolved in favor of the government, at the American Numismatic Association World’s Fair of Money in Denver, Colorado, from August 1 to August 5. In March 1933, as one of the many measures designed to reverse the Great Depression, President Franklin Delano Roosevelt issued a proclamation (followed by subsequent executive orders, regulations of the Secretary of the Treasury, and statutes) prohibiting payment of gold coin. 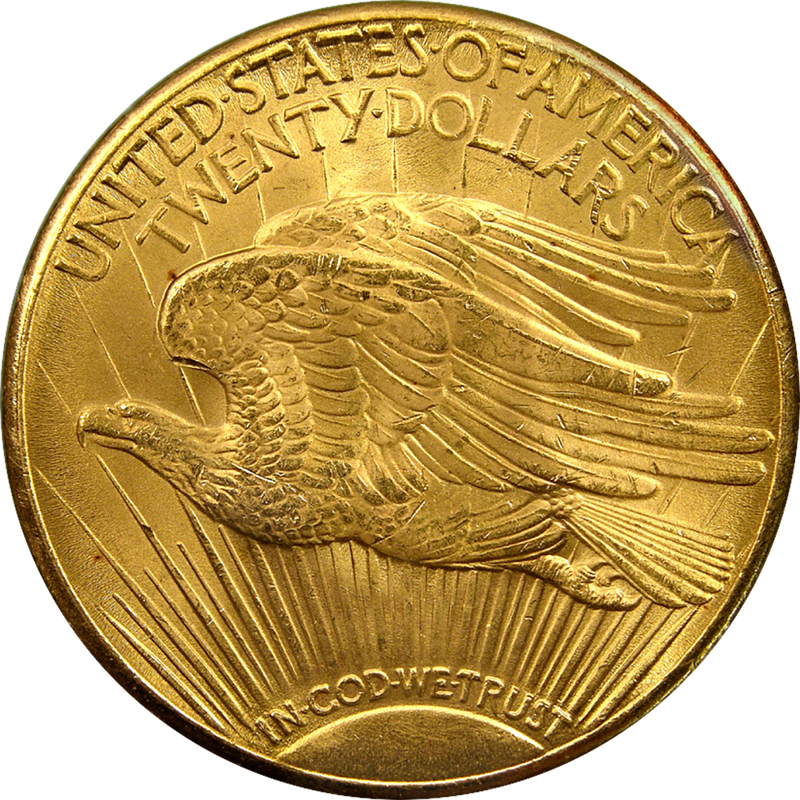 This resulted in the melting of 445,500 1933-dated double eagles previously struck at the Philadelphia Mint, and Mint records clearly establish that no 1933 $20 double eagles were ever issued or released to the public as legal tender. 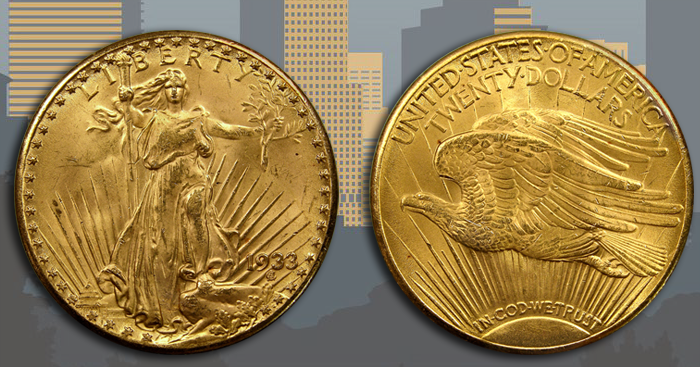 The only specimens to leave the Mint lawfully were two 1933 double eagles given to the Smithsonian Institution for preservation in the National Numismatic Collection. A Secret Service investigation in 1944 led to the recovery over the next 10 years of nine stolen pieces that also were melted. A 10th piece was recovered in 1996, with that case ending in a unique settlement under which that single coin was monetized and issued by the U.S. Mint and sold at auction in 2002 for $7.6 million. Ten more specimens surfaced in 2004, this time in the possession of the family of the Philadelphia jeweler who had facilitated the distribution of the stolen double eagles in the 1930s. Litigation ensued, and in 2011, after a two-week trial in which the government put all its evidence on the table, a jury unanimously found in favor of the government. 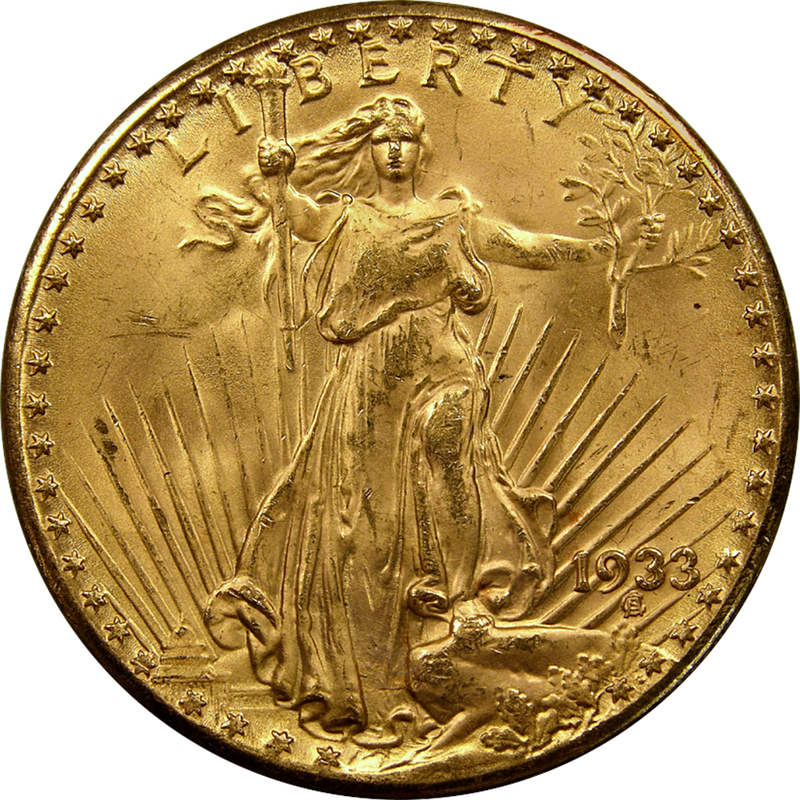 The judge subsequently issued a declaratory judgment that the 1933 double eagles were not lawfully removed from the U.S. Mint, and as a matter of law, remain the property of the United States. Unlike the nine specimens recovered in the 1940s and 50s, these 10 specimens will not be melted. “The United States Mint considers the recovered 1933 double eagles to be national numismatic treasures and will preserve them,” said Motl. GREAT AMERICAN COIN HISTORY STORY ! ! !